A super-storm is no laughing matter. It’s destructive, often leaving thousands without power and transport, and often results in a long and expensive clean-up. But in times of adversity, we can all use something to lift our spirits. 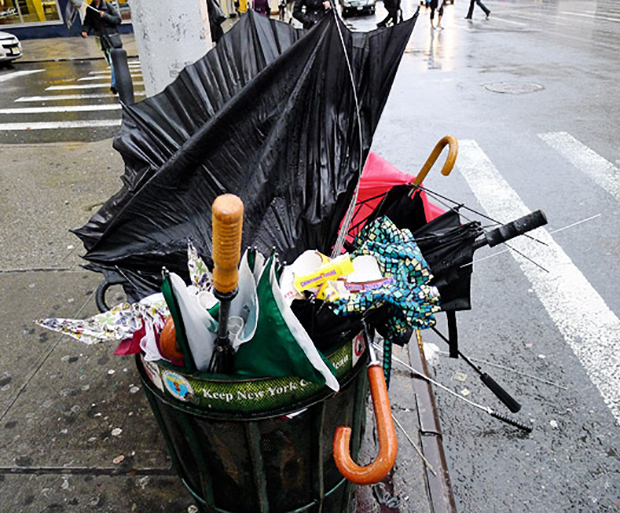 So from broken umbrellas to outrageous attire, we’re bringing you some of the worst – and funniest – storm fails. Cheap and nasty umbrellas are a great investment when it’s drizzling. They’re compact, meaning you can easily store them in your handbag or backpack, and well, they’re cheap! 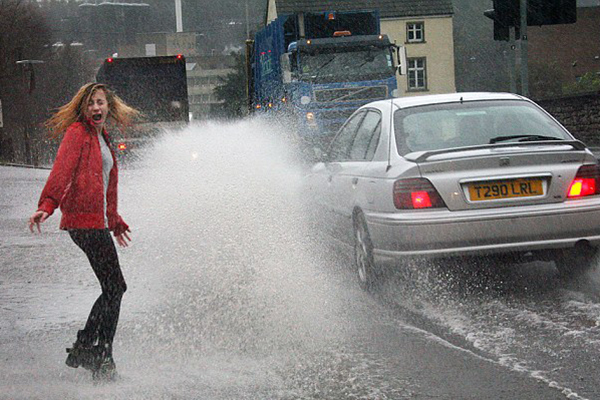 But when the wind decides to pick up, or the rain falls heavy, you’re basically, ah – screwed. They say it’s better to over-prepare than it is to under-prepare. 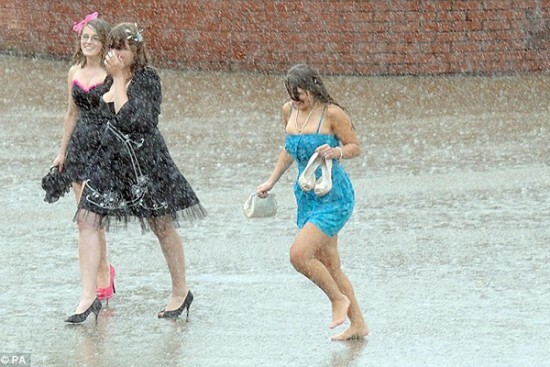 So ladies, if you’re heading out in heels and a short dress and it looks like it’s going to rain, chances are it probably will. If getting caught in the rain without an umbrella isn’t enough, stand too close to a puddle when a car drives past. You’ve now got yourself a recipe for a wet disaster! No umbrella? No worries! 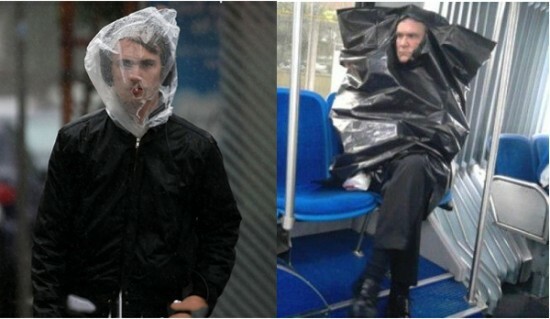 A plastic bag may not be the most fashion forward choice when trying to keep dry, but hey, if it’s going to keep those tresses styled and that suit schmick, who cares! Right? 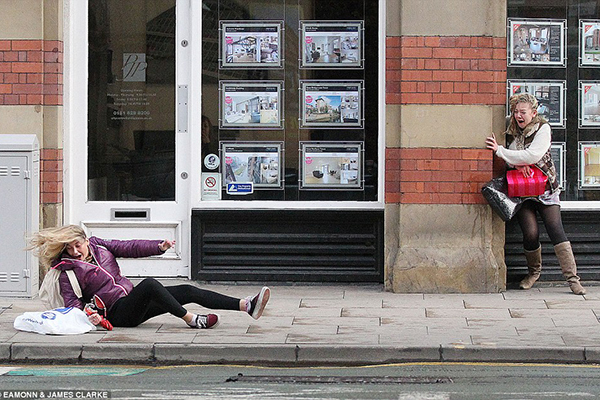 Some of us don’t have great balance at the best of times, let alone when the wind picks up. So if you’re planning an outdoor shopping trip mid-cyclone like this lady, you might want to opt for a movie day instead. They say there is a time and place for everything, but there’s something to be said about men and their barbecues. 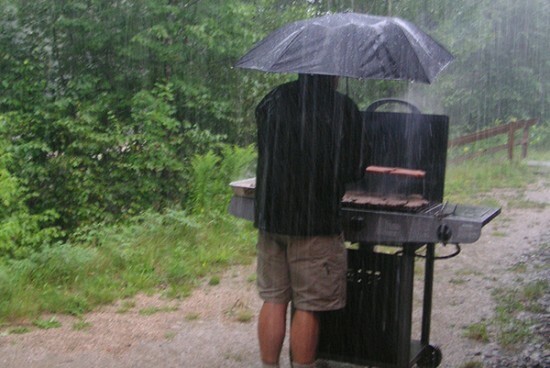 So, this guy either didn’t get the memo about the bad weather, or he’s an outdoor cooking enthusiast.